Last year Tabcorp the wagering giant put its keno business in the multi-million-dollar spotlight by bringing the the biggest change to the game the NSW history. The Australian listed company, which worked on clearing regulatory hurdles to merge with Tatts Group to create an $11 billion gaming giant, launched “Keno Mega Millions”. The new product is a higher jackpot version of the current “classic” keno game that started in NSW in 1991. If you wish to play Keno Mega Millions then keep on reading below to understand the game play. 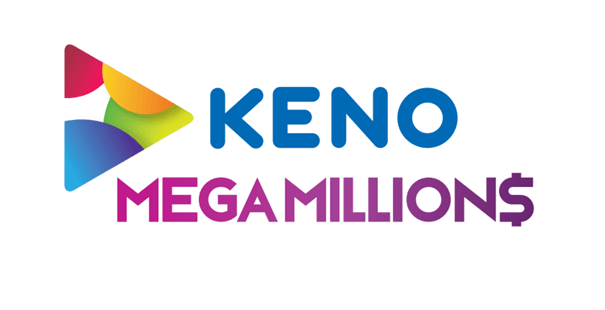 With Keno Mega Millions, you can win more by matching all your numbers . You can see the Keno Mega Millions 7, 8, 9 & 10 number jackpot grow between games on the purple Keno Jackpot screens. Mega Millions uses the same Keno ball draw but gives players the chance to win $5 million or more every three minutes with a spend of $2 — $1 more than the current game. A transformation of the brand and products was kicked off around 18 months ago and in 2016 Keno returned to growth for Tabcorp, with revenues up 4.8 per cent at $208.5m. Note that Tabcorp’s keno is played in 3800 venues across NSW, Queensland, Victoria and the ACT and in fiscal 2016 there were 100 million keno tickets sold. 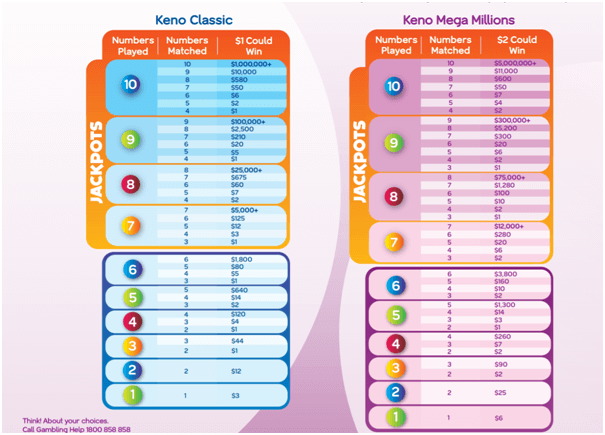 Keno gives away about $35 million in prize money to NSW, Victorian and ACT players each month and $62 million in total across the eastern seaboard. Mega Millions was developed to appeal to a younger customer who played socially and was solely interested in winning big jackpots. The average top prize is about $7 million, with a minimum cash prize of $5 million, versus a $2 million average prize for the current game.